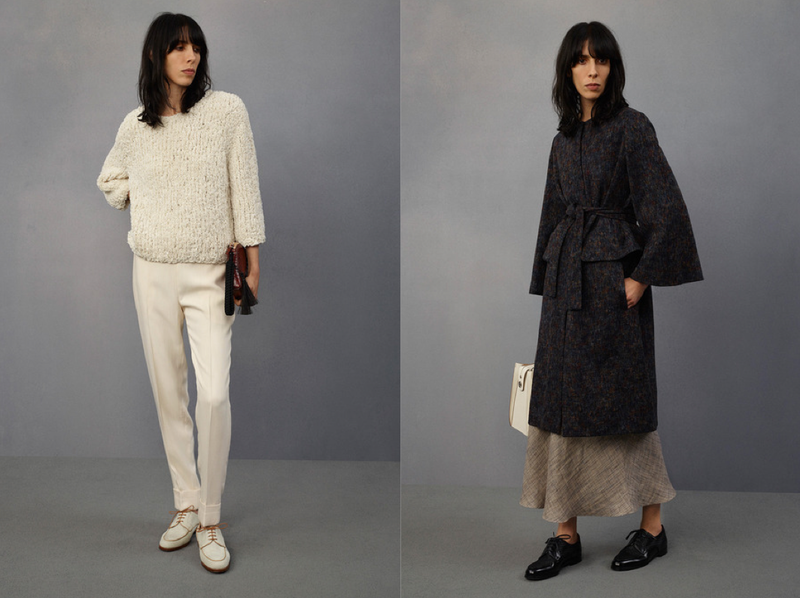 It’s the season of the Resort collections and this time around Mary-Kate & Ashley of The Row have caught our eye per usual. Clean and simple with subtle yet luxurious details are the mainstays when describing the line-up. Providing some great basics has always been the concept. Sea island cotton, natural linen, season-less double face wool, and a slew of suede shared the spotlight with there luxuriously most wanted hand knitted cashmere sweaters, which easily averages out to the cost of one months rent, if not more. Besides the significance of their penchant for the finest materials and fabrics each season, that never goes unnoticed, is the rejection of trendiness. That doesn’t necessarily mean that they’re aren’t known for setting trends, we’re all guilty of trusting their sartorial choices in regard to personal style. They don’t go chasing fads like other designers of our generation tend to do, which continues to set them apart. 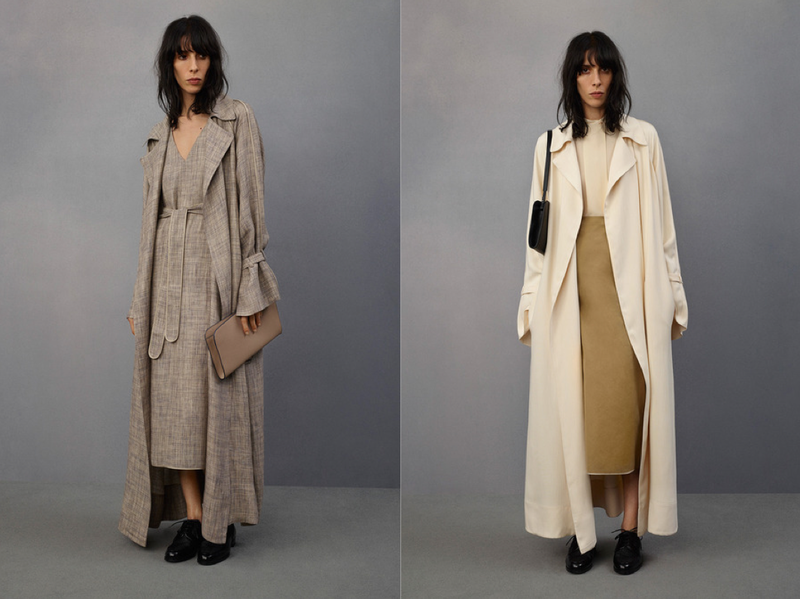 The Row woman is far too chic for fast fashion and prefers classic pieces that are timeless. Trousers pooled at the ankles and split bell sleeves extended almost past the wrists, but there was a tidiness to pieces like a powder blue breezy and fluid dress that stopped right before the ankle and a navy blue double-face wool mannish coat belted at the waist – that was the fine line between conservative. No sign of the traditional kitten keel beloved by the Olsen’s – instead the leather oxfords completed each ensemble with a touch of classic, but was still a great balance of The Row’s subtle effortless styling that we all appreciate very much. As for accessories they were a defining characteristic as well as the structured shape bags. 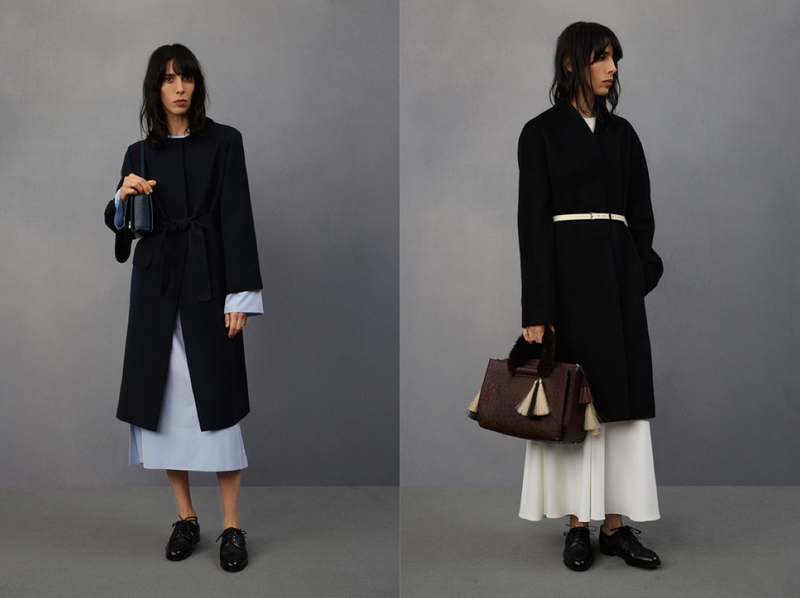 With Resort being a very important selling season, it make a lot of sense that the collection had an emphasis elegant simplicity, sartorially speaking.